Autumn is our favorite season here at Arcadia Run for a number of reasons. Simply put, everything is prettier in autumn. The novelties of fall and winter are still fresh and exciting, but the temperature hasn’t dropped to the winter norm yet. Autumn is the season best known for apple picking, pumpkin carving, hot apple cider and scenic drives through beautiful fall foliage. Not only is autumn a great time to partake in your favorite fall activities, it is also the best time of year to move into a new apartment! 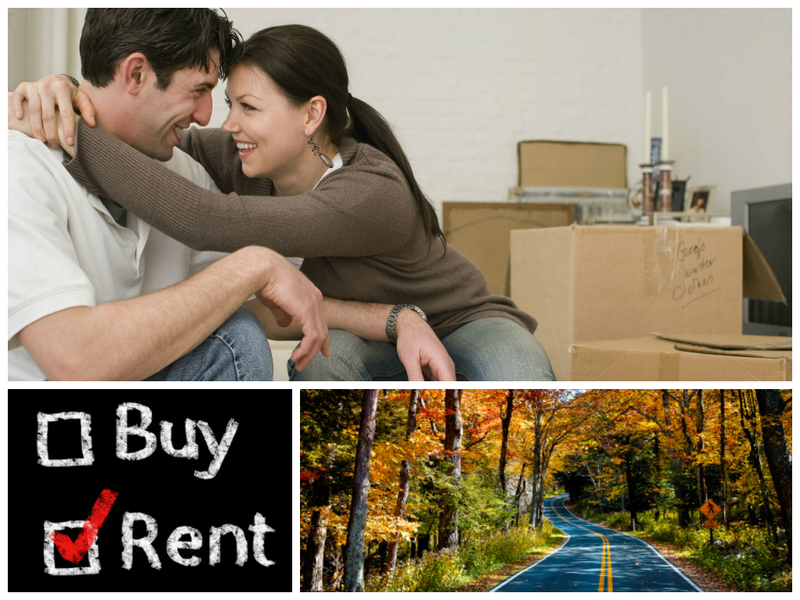 Below are a few reasons we believe autumn is the best season to move into a new apartment. 1. Perfect moving weather—a happy medium. Everyone enjoys a sunny summer day, but most change their tune when the temperature starts hitting the mid-90’s. Summer is the best season to visit the beach or go sailing for the day, but heat and humidity make moving a miserable experience this time of year. Most enjoy cuddling up next to their fireplace with a mug of hot apple cider, but few look forward to trekking through the snow to work to slipping on black ice when they walk up their front steps. Winter is not the best time to move either, with freezing cold temperatures and dangers like black ice and snow. Though spring tends to be a medium of summer and winter, moving during this season tends to lead to more packing. Some are still wearing their heavy winter clothes or haven’t had time to pack their winter favorites away yet. With crisp fall mornings and cool evenings, autumn is the best season for moving—it is a happy medium between summer and winter! By mid-autumn most are about to break out their sweaters and coats they packed away earlier in the summer once more. Why not move before breaking those boxes of cold weather clothes out again? 2. Save money on utilities. Autumn tends to be the season with the mildest weather, which means you can turn off your air conditioning and enjoy the fall weather, which will help reduce your electric bill! While the weather is mild, take advantage of the climate and open your windows before the temperature starts to drop. Apartments generally use less water, power and gas than houses, which can save you money on your utility bills if you choose to lease an apartment in place of purchasing a house. Are you the type of person who avoids mowing the lawn every month? Someone who enjoys watching the snowfall but dreads shoveling out the driveway and icing the path to your front door? Most apartment communities provide these services. While homeowners are pulling weeds or clearing their driveways and sidewalks of snow, apartment residents can relax, as Arcadia Run takes care of all of that for them. 4. Enjoy the fall festivities! Autumn in most areas involves road trips to fall festivals, pumpkin patches and corn mazes. Manassas, VA is fortunate to have a number of fall-related events in the local area including the local farmers market—open every Thursday, fall festivals and spooky spirited tours. These events are yet another reason autumn is the best season to move into this area—there is so much going on! The greater Manassas area has a number of fall events to enjoy including the Manassas Fall Jubilee and Oktoberfest. This year’s Manassas Fall Jubilee is free to the public and includes live music and entertainment for children and adults, over 100 craft and community booths, a pumpkin patch, wine tastings, and much more! Check out their website for more information. Haymarket’s Annual Oktoberfest features music, pumpkin decorating, an assortment of German foods, draught beers and a Halloween costume contest. This event features over 100 booths and last year had over 10,000 attendees! For more information on Haymarket’s Annual Oktoberfest, visit their website. As Manassas is a town known for its rich Civil War history, the town’s Spirit of Manassas tour is not one to pass up. The Spirit of Manassas tour series is led by the Manassas Museum through the streets of historic downtown Manassas, with many spooky stories and strange happenings from the past and present in the area. For more information on these Manassas tradition, visit their website. The winter holidays are a very busy time for most; autumn is also the best season to move into a new apartment because it gives you time to move and get settled into your new apartment before the holidays. You’ll be ready to host family and friends in your new Arcadia Run apartment by Thanksgiving! Arcadia Run’s oversized kitchens are perfect to cook dinner for the whole family this holiday season. Fall is the best season to move into a new apartment, check out Arcadia Run’s available apartments for lease today! 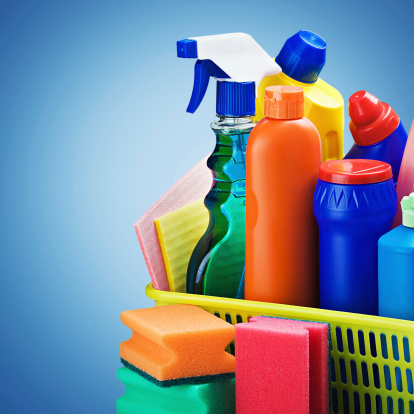 Cleaning your apartment can feel like a never-ending task. Luckily, finding a way to keep your space clean with minimal time and effort is easy to do by using these shortcuts provided by Apartment Guide! If you are like many busy people, you simply do not have time to give your entire apartment the thorough cleaning it demands each week. It can take hours to vacuum, mop, dust and scrub every surface of your space at one time. However, if you regularly devote 15 minutes per day to a specific task, you can keep your apartment looking great. For example, make an effort to vacuum on Mondays, clean the bathrooms on Tuesdays and so on. The kitchen may be among the most visible and most used rooms in your apartment, so it deserves regular attention. The good news is that at Arcadia Run, our kitchens feature granite countertops, updated appliances, designer cabinetry and luxury vinyl flooring – all surfaces that are easy to clean. Next time you’re waiting for food to cook or water to boil, consider sweeping the floor, loading the dishwasher or wiping the counters down. You’ll have a clean kitchen before dinner’s ready! Microwaves are unfortunately prone to splatters. Ideally, you will simply wipe up the mess while it is still wet and easy to remove. However, if you leave the mess sitting there, it can harden and even become caked on with repeated use of the microwave. Rather than spend your time scrubbing the microwave, simply microwave a bowl with a half-water, half-vinegar mixture on high for five minutes. The steam will loosen the debris so that you can easily wipe it away. The bathroom can easily accumulate mess, especially since many of us are in a rush most mornings. Few people have time to clean the bathroom every day, but the mess from using this space can quickly turn into an unsightly problem. Consider wiping down the sink daily, before you leave in the morning and before bed at night. It only takes a few seconds and will keep the area spotless between cleaning days. Just by their nature, older apartments can be difficult to clean. But at Arcadia Run, this is never a worry for our residents! Our apartment buildings are brand new, and with Phase 2 now leasing, there are even more luxury apartments to call home! So rest assured, by employing these simple ‘shortcuts’ in your weekly routine, your space at Arcadia Run will stay looking its best! You don’t need to spend hundreds of dollars on a fancy vacuum – you just need to find one that suits you and your new apartment best. Opt out of this essential and you could be faced with a dingy apartment and no way to clean it! Appropriately stocking your pantry is the fastest way to feel comfortable in your new kitchen. If you love to cook, you’ll need all the everyday seasonings like garlic, salt, pepper, cinnamon and so on. This might take some time to build the perfect collection, but you’ll love having every spice right when you need it. Speaking of spending time in the kitchen, it might be important to bring utensils and tools you can actually use to cook with when you move! If you cook regularly, it’s not a bad idea to invest in sturdier, more expensive items that will last. 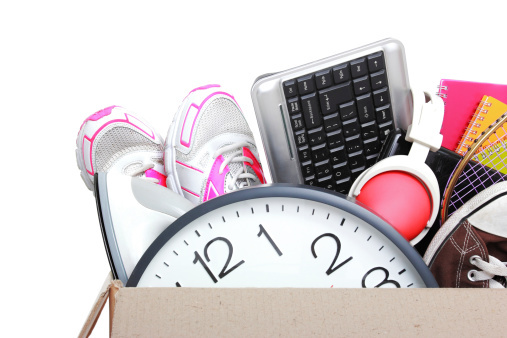 Despite them being necessities, items like these are easy to overlook when planning a move. Aside from it just being a good idea to have both a small tool kit and a stocked first aid kit nearby, you’ll be thankful to have them handy if when you need them. Space is a precious commodity no matter where you live. Luckily for residents at Arcadia Run, space is plentiful – many apartment units even feature walk-in closets! Regardless of the amount of space you have in your new place, it’s important to have an efficient way to store off-season clothing and other items. Like we mentioned in our last article, Making a New Apartment Your Home, having a few sentimental pieces in your new apartment will make you feel right at home in no time. Having your favorite blanket to curl up with on your perfectly broken-in couch are essentials in our book! The tall ceilings, granite countertops, designer cabinetry and bright and spacious floor plans in our new luxury apartment homes at Arcadia Run make any transition easier. Manassas, home to our apartment complex, is teeming with community events and things to do, so making new friends with your neighbors isn’t hard to do! Take a look at the units available – make sure to check out the apartments we’re pre-leasing for Phase 2!